Wisdom of Life. 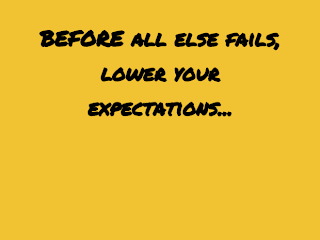 : Lower your expectation... ladies!!!! Some of our successful life insurance lady agents are perfectionists. They are very professional in their work indeed, high income earners and extremely intelligence they are. However they are also very demanding and aggressive in character. They expect everyone under them to be as efficient as them. To their clients they are obliging and friendly but whenever they speak or communicate with the working staffs, their approaches could be hostile and arrogance. They expect all the staffs to think and work like them, and they expect for immediate response and results. Their letters and emails aren't diplomatic and friendly but rather are rude and crafty. They have beauty but poor in brain. For whatever happened, I believe there are consequences and endings. 'Good attracts Good' & 'Bad attracts Bad'. Because of this high expectation in these lady's demands, their lives are stressful and they are easily agitated. Is difficult for them to get good sincere friends, even more difficult to be loved by truthful man. Divorce is common for them and usually they end up living alone as single ladies. Yes! Rich and famous they are but sad and lonesome in heart all the time. My only advices for these successful career ladies... Expect a little, never hate, live simple and give a lot. Adopting these four golden rules would make you a happier person gradually. 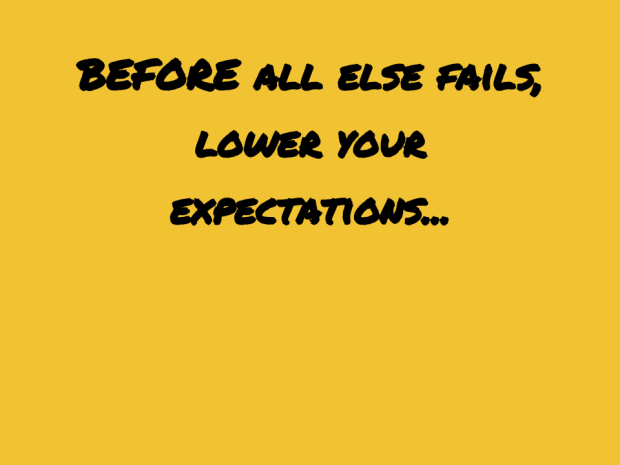 Food for thought - “Anger always comes from frustrated expectations” - Elliott Larson Quotes. So! In case you see some of my mistakes here, please forgive me lah. Don't expect too much from a unqualified part-time blogger. Right?